How to choose BMW ICOM Next and BMW ICOM? BMW ICOM Next latest generation diagnostic head For BMW, MINI, Rolls-Royce BMW-Model is released now,BMW ICOM NEXT can replace BMW ICOM A2, including all function of ICOM A2.Here,buyobdtool shares you comparison about Auto key Programmer BMW ICOM NEXT and BMW ICOM to help you choose the suitable ICOM. BMW ICOM NEXT and BMW ICOM A2 hardware,BMW ICOM next hardware version does not have a update.And it can replace bmw icom a2,functions are the same. BMW ICOM NEXT is with new outlook,which is different from BMW ICOM,BMW ICOM A2.It is with black and white color. 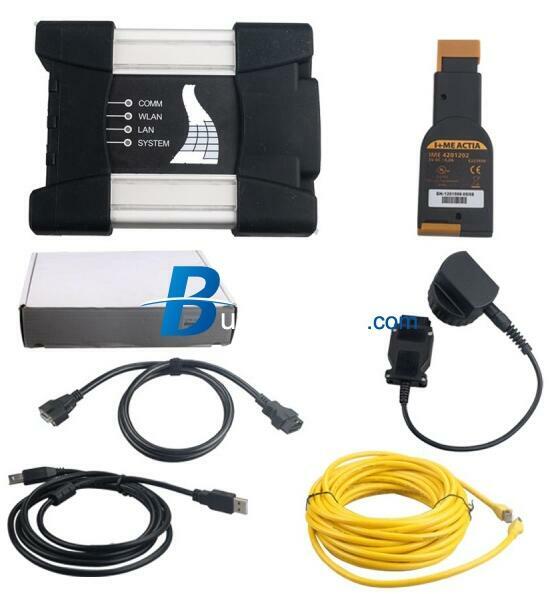 BMW ICOM NEXT can not support wireless,it is only USB connection way.But BMW ICOM A2+B+C has one of wifi version.If you need wifi,you can check wifi BMW ICOM A2,this wifi BMW ICOM A2 from www.cnautotool.com is best quality BMW ICOM. Both of these two BMW ICOM can works with newest 2016.3 BMW ICOM software.And as a friendly reminder,buyobdtool website this BMW ICOM NEXT package does not includes HDD,you need to add ICOM software separately.